This is a series that will be updated periodically that captures the early church views on free will. Check the Series page for the other posts. Were I a Pelagian, or a believer in the doctrine of free-will, I should have to walk for centuries all alone. Here and there a heretic of no very honourable character might rise up and call me brother. In this post we will examine the views that Origen held on these topics. If you have heard the name Origen before then you probably know that he had his run ins with various church leaders (during his lifetime through to today) due to his hermeneutics and speculative views on various doctrines. But reading about his life and digging into his writings it is evident that his life was focused on Jesus Christ. We evaluated his basic views and whether they were orthodox in a prior post. Origen (185-254) was a student of Clement of Alexandria and a prolific theological writer and thinker. 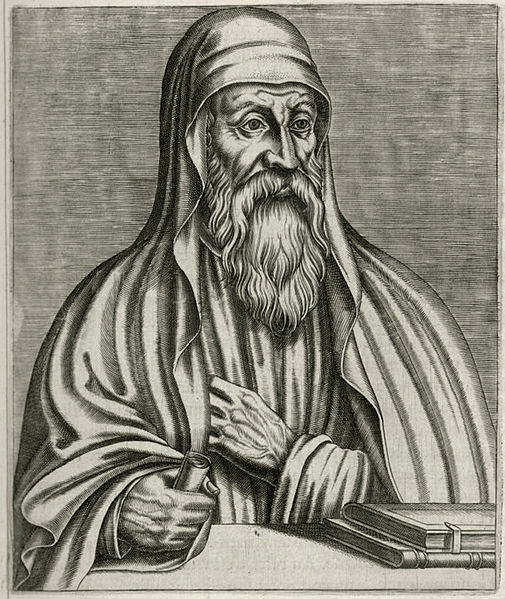 Based on various historic sources (primarily Eusebius) Origen grew up in a Christian home and saw his father imprisoned and killed for his faith. In his work On First Principles, written around 212-215 AD, Origen sought to ‘fix a definite limit and to lay down an unmistakable rule regarding’ doctrines that were delivered by the apostles. He notes that some teachings were delivered ‘with the utmost clearness on certain points which they believed to be necessary to every one’ but other ‘subjects they merely stated the fact that things were so‘ without providing details or answering all of our questions. He goes on to list numerous teachings that fell into the former category (clear teachings) as well as speculate on various things that were less clear. This also is clearly defined in the teaching of the Church, that every rational soul is possessed of free-will and volition; that it has a struggle to maintain with the devil and his angels, and opposing influences,because they strive to burden it with sins; but if we live rightly and wisely, we should endeavour to shake ourselves free of a burden of that kind. we possess free-will and volition. we are subject to various influences but these do not require necessity of a certain choice. It should be noted that Origen is not an Arminian nor is he writing against Calvinism (he wouldn’t know what those terms meant). But he is defining and contrasting his view of free will against people who hold to some form of determinism. These could be Stoics (a popular philosophy in the late 2nd century) , but more likely these people are the same heretics (some form of Gnosticism) that hold such views as the Father of the Christ is different than the God of the OT and conclude that Jesus has not come in the flesh (II.4.1; II.9.5; III.4.5). Origen starts with a good and just God who has created all things. Then surmises that this God cannot create things that are bad. Rather than conclude (as the heretics do) that there must be two gods, one responsible for good and the other responsible for evil, Origen appeals to the apostolic teaching that there is One God and that good and wickedness are not determined but rather the result of the free will choices of rational agents. During these discussions on free will, it is worth noting, Origen presents some interesting ideas. Among them is his answer to the question why does God seem to favor some people over others (in terms of abilities, rank, wealth, place of born etc) when these are not the result of a free will choice. Origen gives one answer, which he terms the heretical view, that ‘souls [are] of different natures‘ and some are created wicked and destined for a wicked end while others are created good and destined for salvation. In contrast, Origen believes that a soul exists prior to a person being born and asserts a view similar to karma. He speculates that a person’s choices in a past life affect how one starts out in this life (II.9.5-7; III.4.4-5). This past life may refer to either a prior life on this earth, which implies reincarnation or perhaps an existence prior to being born on the earth. He is not clear on this point. However, this is where Origen goes beyond what he says was handed down by the clear teaching of the apostles, which he makes clear (in some parts of the writings) by asking the reader to judge various statements he makes. And while I do not accept his more speculative ideas, I recognize Origen as someone who held a high view of the Rule of Faith and passed on to us the views of the early church regarding free will. This entry was posted in Theology and tagged election, free will, Origen by MikeB (@AnAgileJedi). Bookmark the permalink.